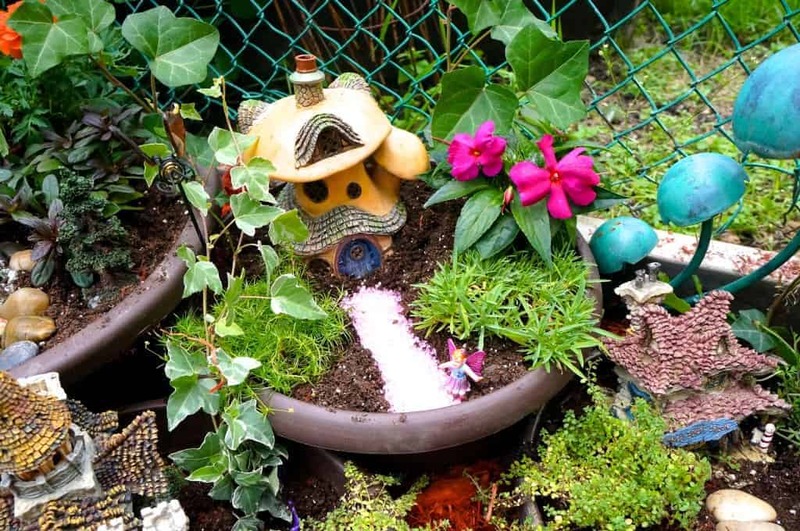 This past weekend we made a Fairy Garden in our backyard, but I had no idea just how huge of an impact a few tiny ceramic houses and some flowers would have on my children. My girls are getting older fast and I thought our days of make believe were over, but our little garden has given me another amazing glimpse of the sweet innocence and unwavering belief in magic that only a small child can have. 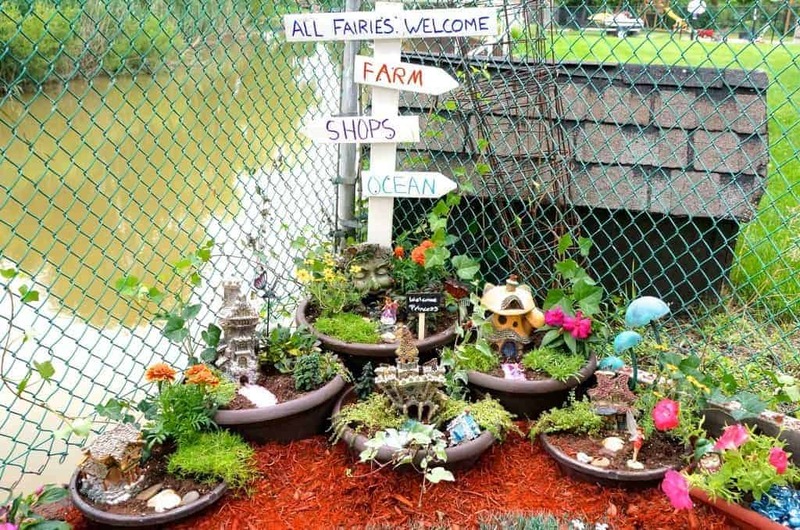 Izzy is almost nine and Abby is almost seven, but they believe with all of their hearts that fairies live in their garden. Yes, I may be slightly stretching the truth (aka lying through my teeth) when I insist that it isn’t me sprinkling glitter on the flowers in the middle of the night. I also whole-heartedly denied leaving them the note on the rock, thanking them for the new fairy home. Last night, I spent hours making a little canopy bed out of twigs, twine and leaves which I hid in the garden, but seeing her tears of joy as my oldest daughter exclaimed “Fairies ARE real, I knew it!” were worth every minute of my time and every burn from the hot glue gun. 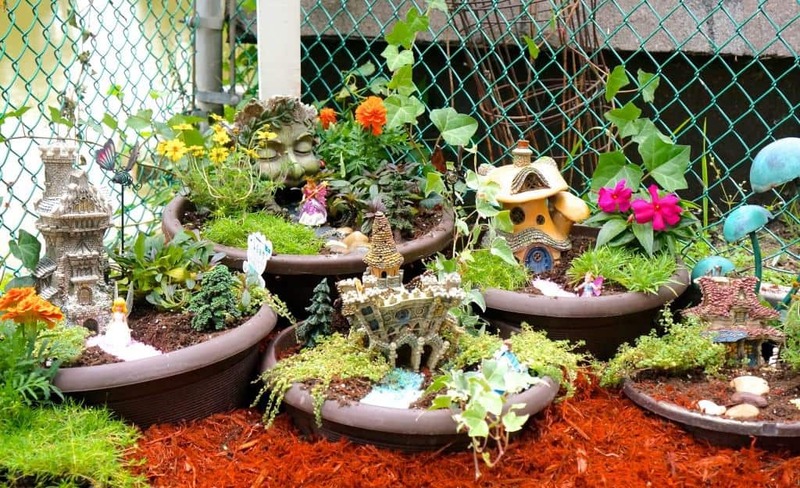 This new Fairy Garden feels a lot like The Elf on a Shelf at this point. A bit of a pain and hassle each night, but each morning is one more magical moment with my every growing girls. The end is coming, I can feel it. The days of eye-rolling and logic are just around the corner, so for now, I will soak up each and every glitter-filled fairy moment! 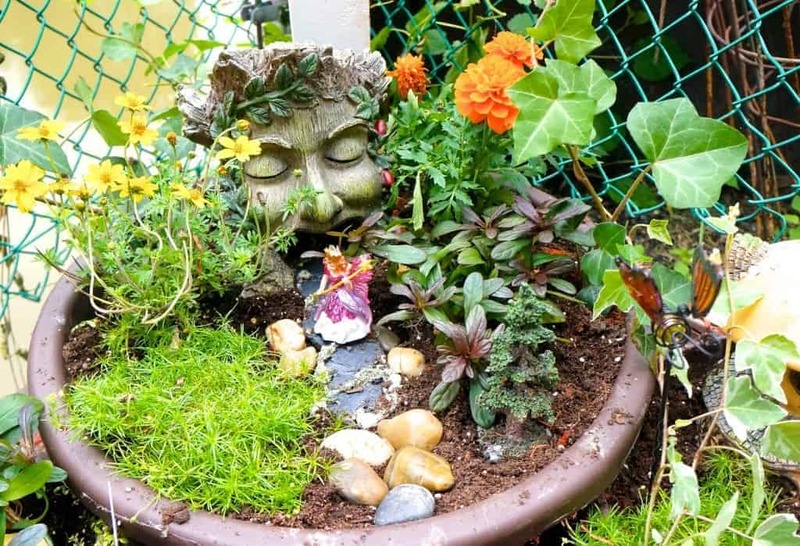 You can make your own Fairy Garden with a few additions of some miniature houses (old Christmas Village houses work great) or some tiny furniture into an existing garden or flower pot! I am getting this sweet little picket fence and arbour to sneak in the garden next week! Once a week or so I get the pleasure of seeing the looks on their faces and to hear the squeals of joy as they discover new little “treasures” and notes the fairies have left for them! Creative uses for a Hanging Shoe Sorter!